ALBANY, N.Y. (AP) — New York state is working to reduce maternal mortality and the racial disparities in the rate of maternal death. 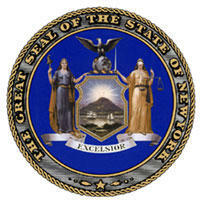 A new state task force created earlier this year met for the first time last week in Albany. The group is made up of state officials and medical and public health experts. It is tasked with studying the factors that lead to women dying in childbirth and recommending ways to address it. In 2010 New York state had one of the worst maternal mortality rates in the nation. While the state has made progress in reducing the rate, it's still in the bottom half of states. Statistics show that black women are three times more likely to die in childbirth than white women in New York.